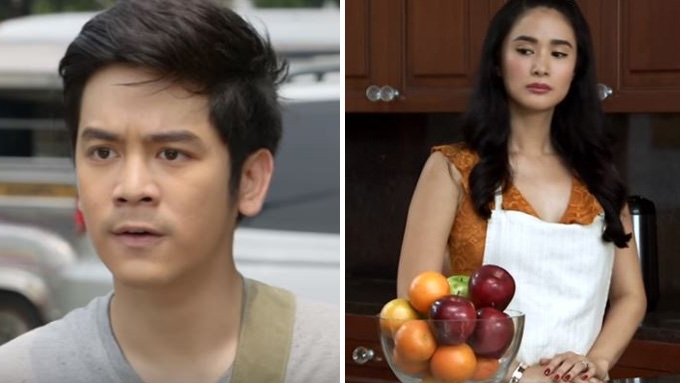 Joshua Garcia (left) topbills The Good Son while Heart Evangelista is the lead actress of My Korean Jagiya. Here are highlights of the comparative ratings of GMA-7 and ABS-CBN programs from November 13-19, 2017 based on AGB Nielsen Nationwide Urban Television Audience Measurement (NUTAM) ratings. ABS-CBN has strengthened on weekday primetime. Its hit shows FPJ's Ang Probinsyano and La Luna Sangre continued to top the charts, while other Kapamilya primetime shows have begun to outperform their counterparts in the Kapuso network. One of them is The Good Son, a mystery family drama that airs on a late slot. For weeks now, it has consistently lost to GMA-7's My Korean Jagiya, a romantic series that stars Heart Evangelista and Korean actor Alexander Lee. But this week, The Good Son was able to catch up to the Kapuso series, when it got a higher rating for two episodes, and also tied with two. Another Kapamilya show that did better than the previous weeks was TV Patrol. The Kapamilya primetime newscast had higher numbers than 24 Oras for three episodes in the given period. There's also the top-raters FPJ's Ang Probinsyano and La Luna Sangre, both of which overwhelmingly defeated Super Ma'am and Alyas Robin Hood once again. On the other hand, GMA-7 dominated weekday daytime. Wowowin took first place on November 12, 14, 16 and 17, after it got the highest rating for daytime on those days. GMA-7 dramas did spectacularly well once again. Ika-6 na Utos, Impostora and Haplos constantly won against It's Showtime, Pusong Ligaw, and The Promise of Forever, respectively. Kapamilya fans can credit Kim Chiu and Gerald Anderson, because their pre-noontime drama Ikaw Lang ang Iibigin was able to perform well against GMA-7 The Lola's Beautiful Show. The November 19 episode of Daig Kayo Ng Lola Ko featured Jak Roberto in the episode dubbed "Alamat ni Bernardo Carpio." This GMA-7 fantasy show became the No. 1 most-watched program on Sunday primetime. Here are comparative ratings of GMA-7 and ABS-CBN programs from November 13-19, 2017 according to AGB Nielsen Nationwide Urban Television Audience Measurement (NUTAM) ratings.